As an entrepreneur or as a business owner, one of the things that you have to protect and shield yourself and your business from is competition. And competition can come from anywhere, also your potential competitor can be someone very close to you or someone who you work with every single day, which is why non-compete agreement is invented. 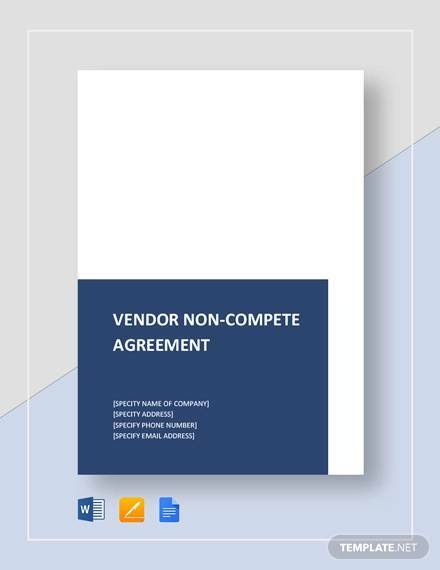 Non-compete agreement is most often coined as a clause or a covenant of not to compete with the company that you have worked or working for, for a specified time period. 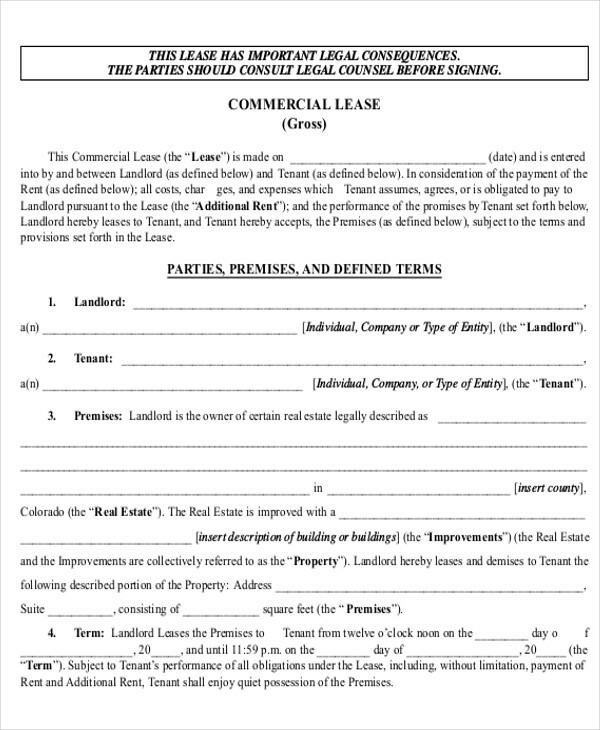 You can also check out and have a look at this page’s Sample Agreements to give you much more information than you need. 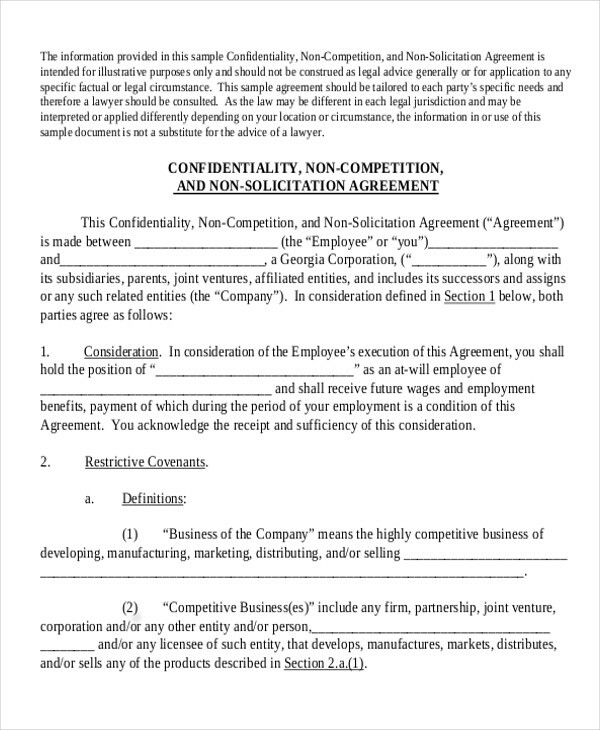 Learning that non-compete agreement is a covenant bound by law in which you are not allowed to compete with the company or business that you have worked with in the past or is currently working with in the present. This covenant is clearly made to protect and shield companies and businesses from having competitors and also so that they will be able to keep up with the competition, or better yet, so that they would not have any competitors at all. 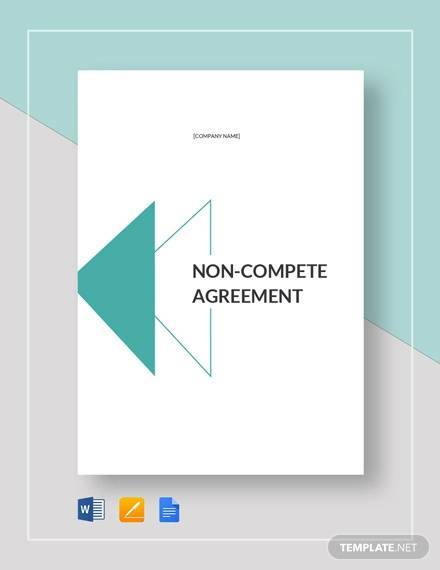 Here are some basic points and important subject matters in terms of non-compete agreements that you might find useful. 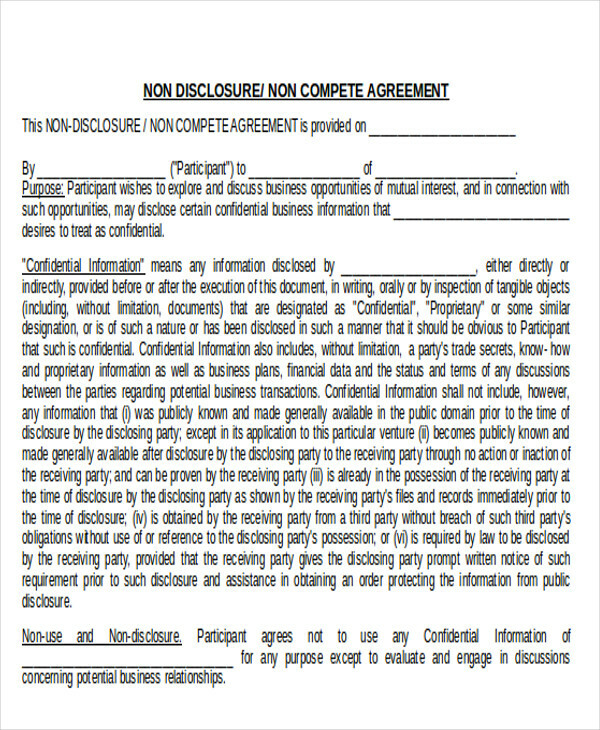 For more relevant details and information, have a look at Non Disclosure Agreements in PDF and HR Confidentiality Agreements that you might find similarly useful. 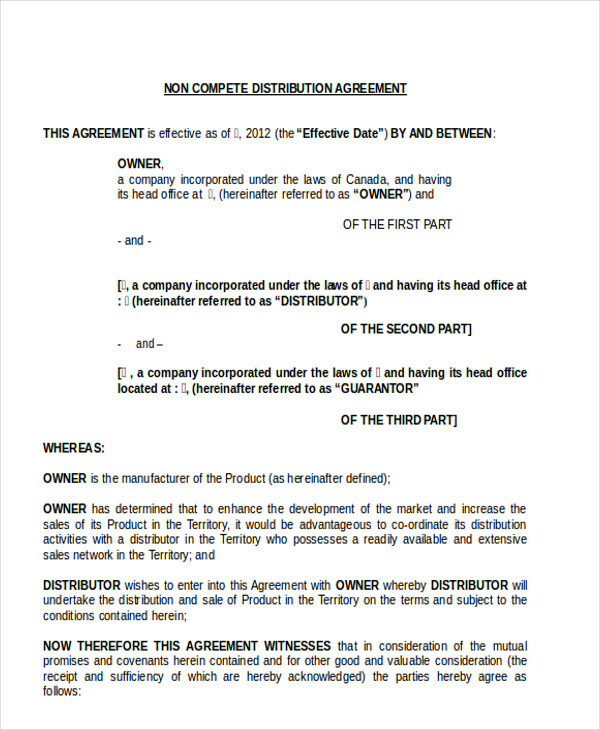 Other names of non-compete agreement would also include non-compete clause (NCC) and covenant not to compete (CNC). 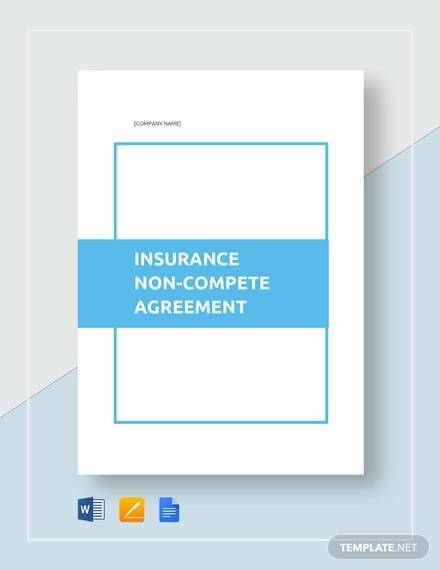 If you want to have the option of drafting your own non-compete agreement, here are some important points to consider before doing so for an effective non-compete agreement. 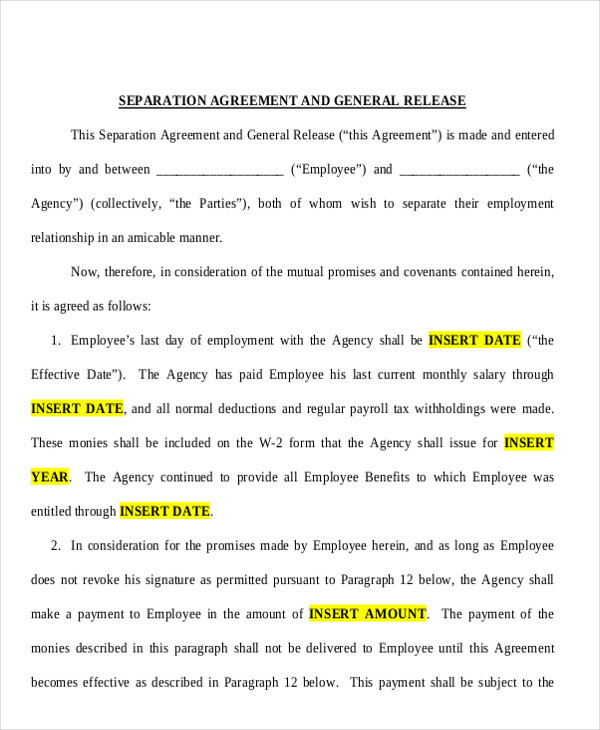 Other than that, you can browse through this page for Sample Severance Agreements that you might find to be similarly useful in some ways and manner. Name and addresses of the parties involved in the agreement. 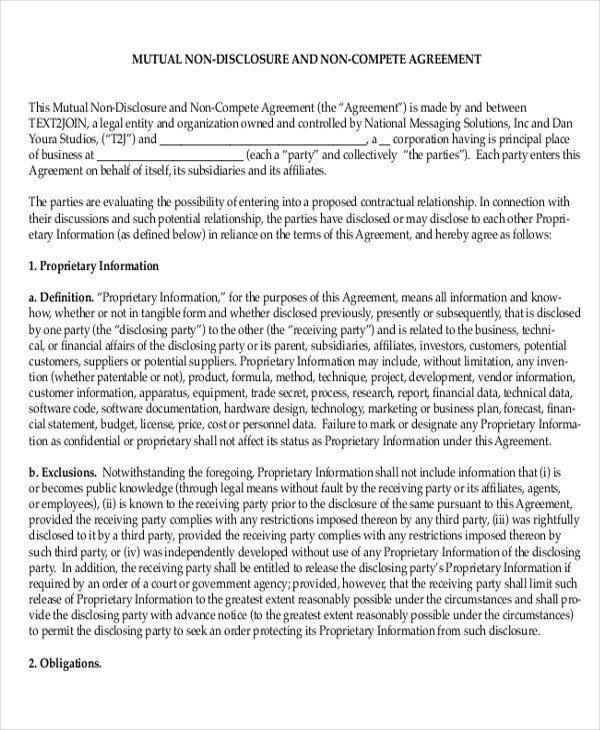 This would include and contain the protected party (this is the party who requested the non-compete agreement) and the non-competing party (this is the party who is restricted from being a competitor of the protected party or working for one). 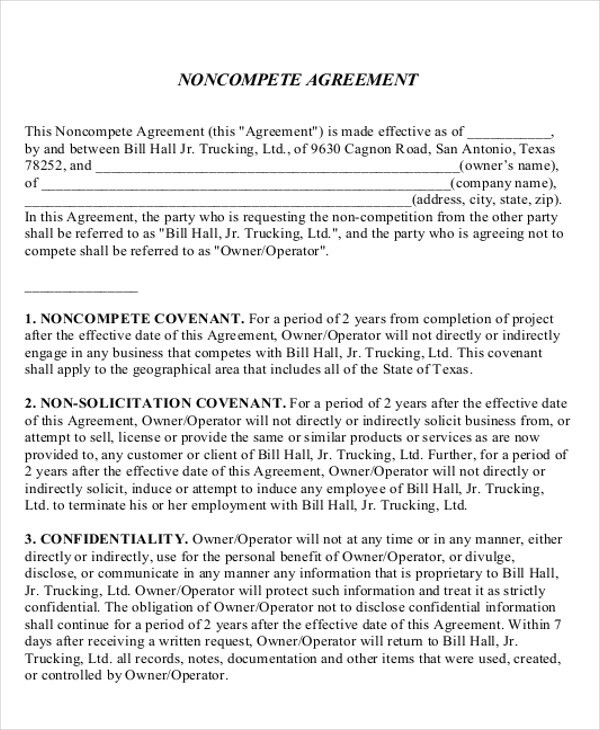 Particular individuals who will be signing the non-compete agreement. 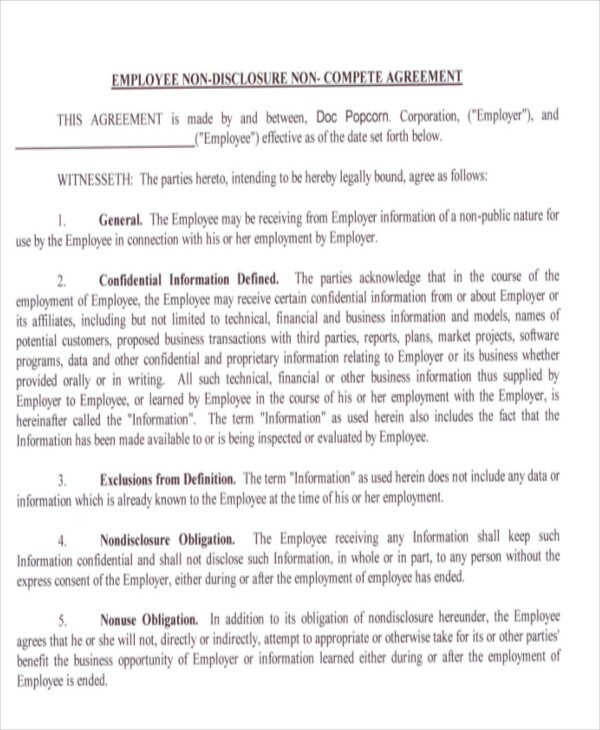 Limited to the group of people who holds the authority to sign the non-compete agreement and have it imposed. The exact effective date of the agreement. 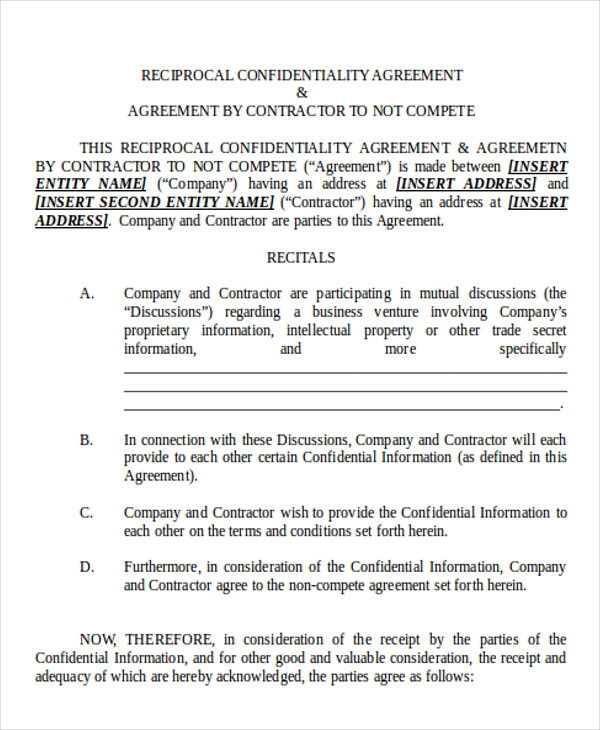 The specific date in which the particular agreement would start to take effect or start shielding the company, which is most likely the protected party against the non-competing party. 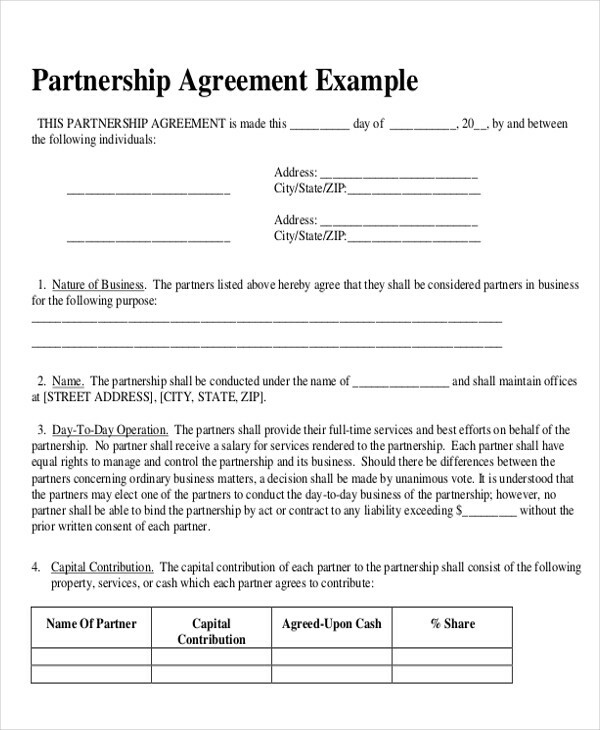 The exact period for the non-compete agreement. 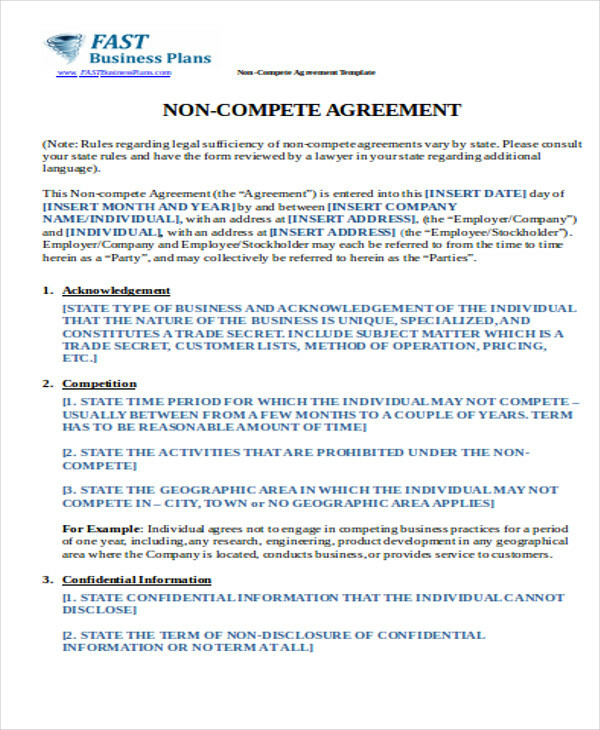 Contains the specified stated time period and duration of the imposed non-compete agreement for both protected and non-compete parties alike, which would usually take up to 2 years.